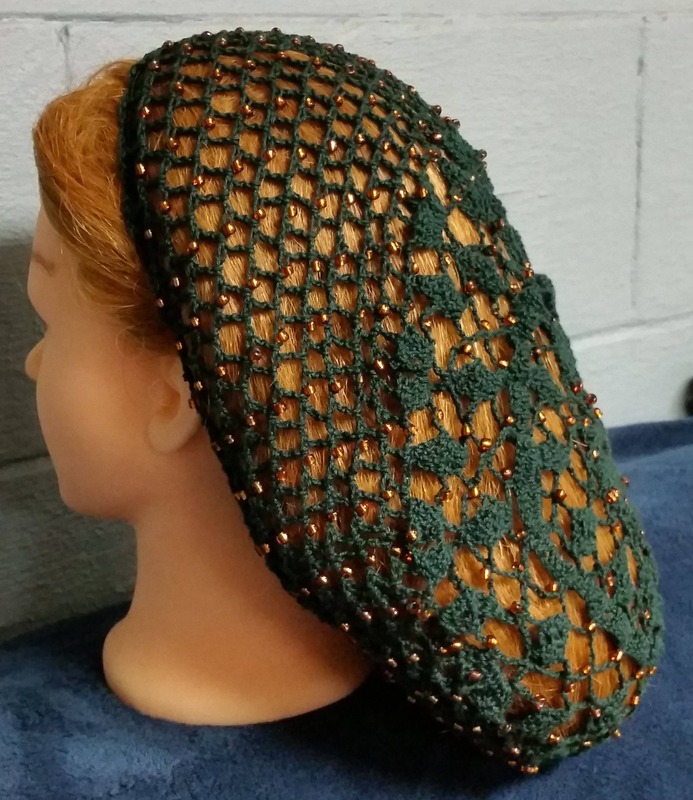 This hair snood is my Wheat Cluster Pattern with beads on every row in cotton thread in my longer 10" length. 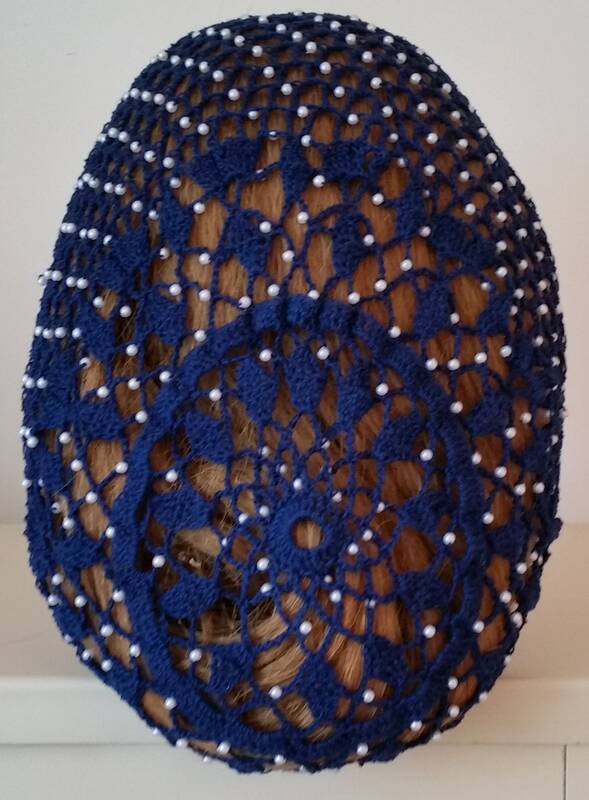 The snood is hand made with your choice of thread color and beads. You choose which color you want at time of purchase. 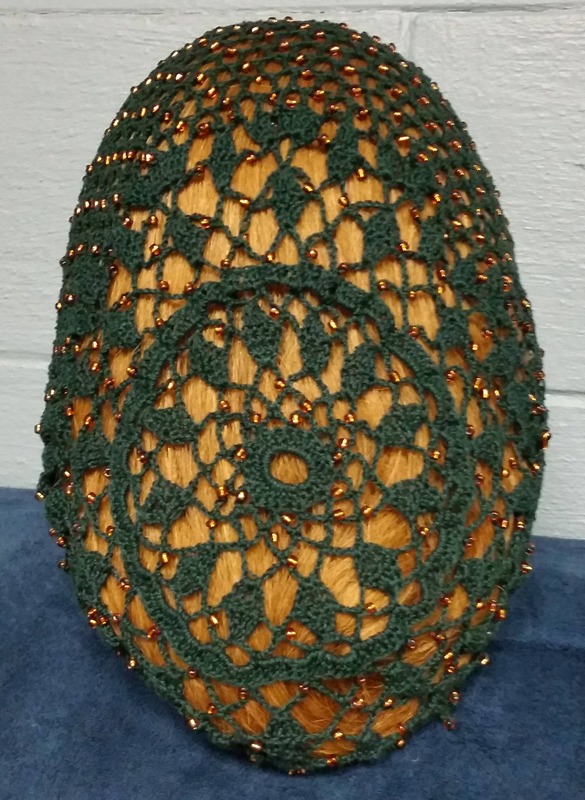 I use a more delicate cotton crochet thread rather than the clunkier yarns for a more elegant look. The pictures shown are Hunter Green/Amber beads and Navy Blue/4mm Pearls. More examples to come soon. I can make these in the 12" length but don't have it listed yet. 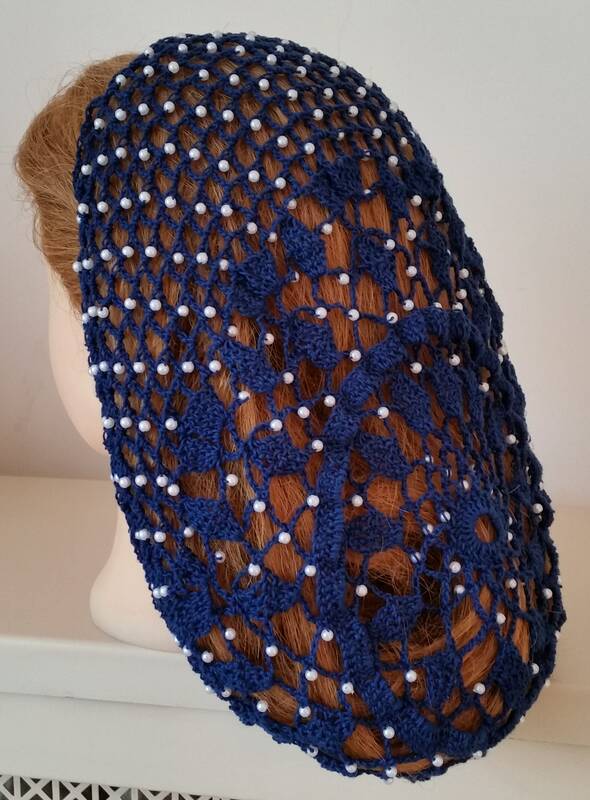 Contact me for a custom order if you want a different length for this snood. The regular 8" length is listed elsewhere in my store.